Instabug Won Startup of Month August @ Pitch Demo Day Aug 17 selected by SVE judge panel. 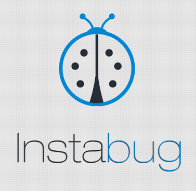 Instabug provides services and tools for developers, to make their lives easier while testing their apps. Briefly, Instabug is a tool that runs in the background of an app, allowing users to send their feedback or bugs instantly, by just shaking their devices, they don’t need to interrupt their experience while using the app anymore. And while running in the background, we gather all details needed by the developer to trace those bugs later. Developers can view this feedback on our organized dashboard, or can be integrated with other bug tracking tools (JIRA, GitHub, Basecamp, Asana, etc..) to view the feedback there. Instabug is formed by a team of engineers originally in Egypt, we’ve been working on Instabug since July 2012, after being incubated at a famous accelerator in Egypt, Flat6Labs. 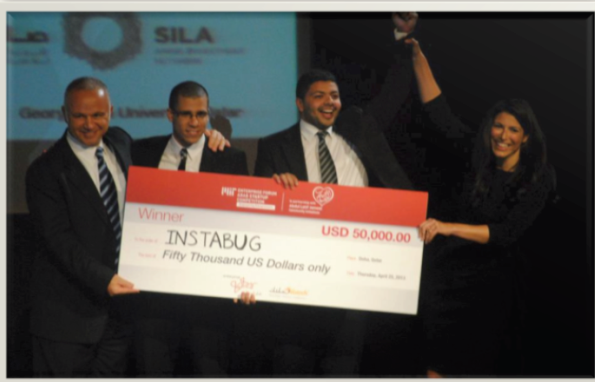 Instabug won the MIT business plan competition in April 2013, and was one of the finalists at MobileBeat 2013 where the public version was released. CEO and Founder of Instabug, managing the daily operations of the company. ex-Core P&S Engineer at Vodafone. Founder of Instabug, a bug reporting tool for mobile apps. 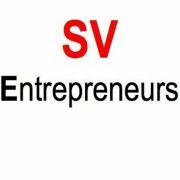 Silicon Valley Entrepreneurs and Startups is Silicon Valley’s largest Entrepreneur community, a productive forum to network, find funding and learn how to monetize innovative mobile and internet applications. The group welcomes everyone who seeks to meet other entrepreneurs, founders, hackers, developers, funding groups and leaders of mobile/Internet industry – including Android, iOS, WP, HTML5, Cloud, Facebook, and Chrome. It is also a place to help individuals, especially developers and engineers to become successful Entrepreneurs. The groups hosts monthly activities like Pitch and Demo days (monthly), Entrepreneurs / Co-Founders Mixers, SVE Accelerator Sessions / Boot Camps, Startup Contests and various social events. or are they the same thing just different names?.